True to its name, ITC Surabaya Mega Wholesale is the place in Surabaya for selling, shopping and trading. It is easy to be immersed into a shopping frenzy, with almost 3,000 shops/tenants occupying the complex. With a total of seven floors in an area of more than 150,000 m2, the vast building was built on an area of four hectares. However, the management team has neatly arranged the zoning so there is no need to be worried that you might get lost. ITC Surabaya is managed by PT. Citra Agung Tirta, but developed by three major developers under the guidance of PT. Duta Pertiwi Tbk. 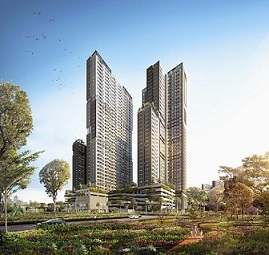 One of the developers, Trisensa Pakuwon, has had success with several large projects in Jakarta, Surabaya, Singapore, Malaysia and Hong Kong. Operating since September 2006, ITC Surabaya has gained a good reputation as a preferred shopping destination for residents of Surabaya. So fast has been the growth that ITC Surabaya is now well known throughout East Java as the wholesale destination of choice. The keys to this success have been the comfortable atmosphere, affordable prices, and series of carefully managed promotional programs.